Fifth Third Field, the home of the Dayton Dragons minor league baseball team, is also the venue for the 2016 Miami Valley Down Syndrome Association (MVDSA) Dayton Buddy Walk®. 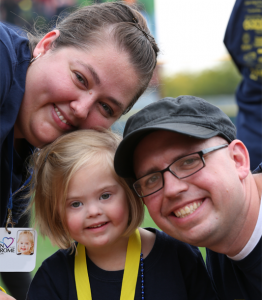 Now in its 14th year, the annual walk is an opportunity for Miami Valley families and those from surrounding communities to come together and celebrate their loved ones with Down syndrome. We sat down with Jenna Stites, Executive Director of MVDSA to learn more about the event. Jenna attended her first Buddy Walk® when her daughter, Hannah, who has Down syndrome, was just 6 months old. Jenna was admittedly nervous to attend that first walk, but she was amazed by the supportive community and enjoyed seeing the incredible accomplishments of the self-advocates. Now as the coordinator for the Dayton Buddy Walk®, Jenna ensures this celebratory-feel is something everyone who attends the walk in Dayton will experience. “It’s one of the best ways to be involved in the local Down syndrome community,” Jenna says of the walk. The stadium provides an exciting setting for all participants, who get the unique experience of fun on the field. An extra special bonus is the appearance of mascots, Heater and Gem! The main event takes place directly on the field. The walk kicks off near first base, and participants walk around the outfield, finishing at home plate. There, they are greeted to cheers from local athletes, who form a tunnel of high fives and claps to congratulate the walkers as they cross home plate. Self-advocates also receive the superstar treatment, receiving a congratulatory medal while being filmed on the Jumbotron for the whole crowd to celebrate. Additionally, families decorate posters of their loved ones with Down syndrome, which line one of the walls inside the stadium for all to see. 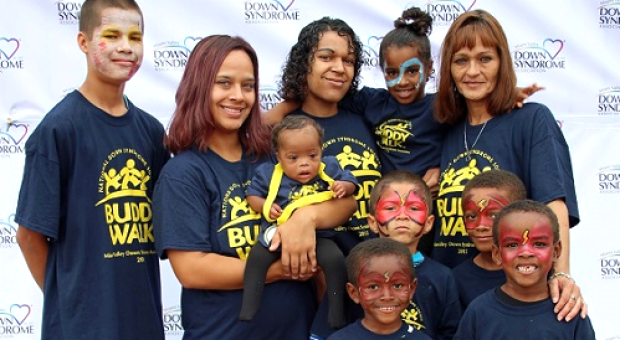 The fundraising goal for the 2016 Dayton Buddy Walk® is $150,000. Funds raised support the local Down syndrome community, providing continuous opportunities for gatherings, support groups and local programming efforts, including: expectant/new parent outreach, opportunity award scholarships, and other social and educational opportunities such as dance classes and tennis lessons through Buddy Up Tennis. 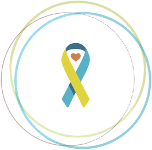 To show your support for MVDSA and the 2016 Dayton Buddy Walk®, please visit their fundraising site at http://www.ds-stride.org/daytonbuddywalk. To learn more about MVDSA, please visit http://www.mvdsa.org.